14. 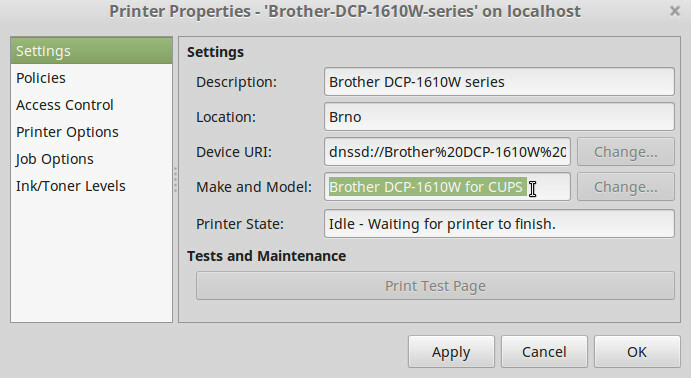 July 2018 at 22:07 - Office automation (Tags: Brother, CUPS, linux, Mint, print, WiFi). Both comments and pings are currently closed.